No matter how far you go back, consistency has always been a keyword in the lubricating industry. Along with the consistency of our services and products, we also have the ability to consistently develop new technologies. 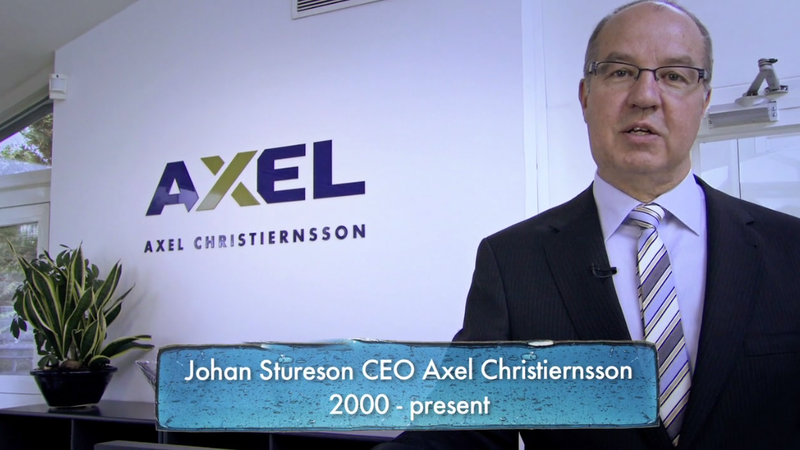 Learn more in this video from CEO, Johan Stureson. In performing the role as customised label manufacturer for many of the largest and most prestigious companies in the world, AXEL is obliged to meet the demanding quality standards set forward by these companies. We are extremely proud to confirm that over the past few years AXEL has successfully passed several detailed quality audits by our high profile customers, covering both our manufacturing operations and laboratory services at all our locations. Needless to say, AXEL is also certified by LRQA according to the ISO 9001 standard. As a manufacturer of formulated greases, it is our aim and policy to continually reduce environmental impact. In this context, we refer to all-important environmental aspects such as consumption of energy, transport of both finished goods and raw materials and the products themselves. We follow strict internal regulations and openly state our policy, targets and actions in the public domain. AXEL will be the leading and first choice supplier of customised solutions for the global lubricating grease market.